Up until now, Gmail only supported some contact fields. Whenever someone imported their contacts from apps like Outlook and OS X Address Book, we used to put fields Gmail didn’t recognize into the contact’s notes section. Based on feedback from you, we added support for more contact fields (like birthday and website) and now store each of these fields separately, which makes syncing and round-tripping your data work better. 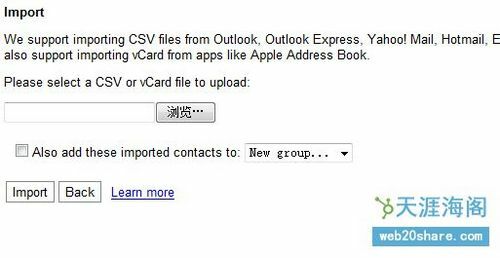 We updated the standalone contact manager with this improvement last month and now it’s available in Gmail too, with support for Outlook, Outlook Express, Hotmail and Yahoo in CSV format, and OS X Address Book in vCard format. 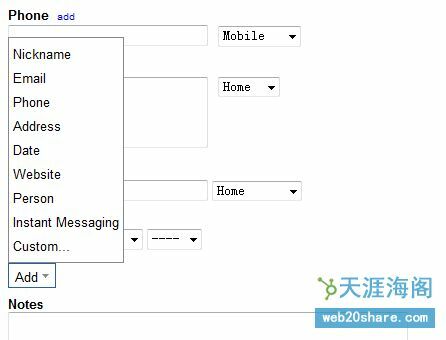 With all your contact info in Gmail, you can access it from anywhere, sync your contacts to your mobile phone or other devices, and more easily collaborate on Google Docs and invite people to Calendar events. We’re working hard to make Gmail contacts even more useful, so please keep the feedback coming.